With the end of the year comes sales season: Black Friday, Cyber Monday or even the Boxing Day post-Christmas sales. These are all great opportunities to shop for Christmas and birthday presents at a bargain and discounted price so there's literally no need to get anything at full price. Some of the deals are recurring annual deals, such as Hotel Chocolat. 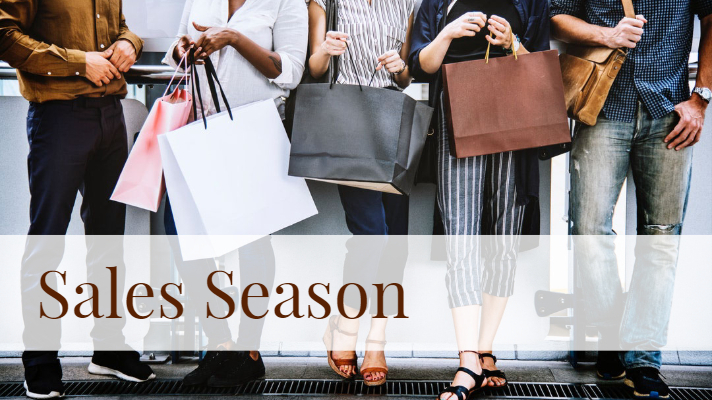 You can literally set your clock for their sales which are usually one day after Christmas, one day after Easter and one day after Halloween with lowered prices of up to 60%. With other retailers, I've seen usual discounts between 20-30% and to be honest with you, these percentages have been too low for me to get in the spending mode. However, last year was phenomenal and I actually got all of my gifts at discounted rates between 60-70%. Now that's when we're talking! So this year I've compiled a small list with items that I got during the last sales season and which shops are worth checking out this year as well. Let's go! Like all millennials, I love going on trips and explore new places. For 2019, I’ve got a few cities on my mind for a getaway and even a summer destination is on my radar – oh and then there’s my friend’s wedding in Rome for July. With Lufthansa offering £99 for flights including accommodation, or Easyjet and Ryanair banging out Black Friday deals, it won’t be hard to snap up a good deal on a flight for your next trip. This has been three seasons ago now, but I got a really good deal at John Lewis opticians in Westfield post-Christmas in 2015. A new pair of Ted Baker frames, including lenses, a free consultation and eye inspection as well as a cleaning kit worth £25 got me to a final price of £125. I still have my glasses and they look like brand new. Every year, I save some pennies in my piggy bank and spend it during the sales season. Think 1p, 2p or 5p coins that I regularly declutter from my wallet, money I find on the street (it does happen), extra photography jobs or even the odd survey through Qmee. Last year, I had a whopping £180 to spend and I invested it into a Poppy handbag from the Cambridge Satchel Company. Their Black Friday sale had up to 70% off so I got my Poppy bag for £100 including having my initials embossed. Ever since I've used the handbag on a daily basis and unfortunately, after a few months, there was some wear and tear on the leather, the embossing and the clasp. The clasp got changed twice this year but when I went in again for the embossing, they exchanged my bag for a brand new one. So with the bargain price comes also excellent customer service. As well as the Cambridge Satchel Company, Oliver Bonas had massive reductions during their Black Friday sale in 2017. The sales prices had a drop between 50-70% and I’ve bought a pastel-coloured cardholder which was reduced from £25 to £12. In store, I got an additional 20% so in the end I only paid £8 for the cardholder. In general, I feel Oliver Bonas does really good deals in the sales season, so it's worth going into the shop a week beforehand, checking out all the items you have set your eye on, and then go hunting when the deals are on. This is a no-brainer if you’re a sucker for beautiful candles, plant pots, mugs or any other nice little golden gift ideas. Anthropology had a generous discount of up to 70% so I made a huge candle haul, in particular, the travel set from Voluspa is worth mentioning here if you have many people to buy for. Bulk buy it is. The Voluspa travel set contains three little candles which came at a price of £12. So instead of spending £10 on each, I ended up with three packs and gifted all of my friends with a lovely quality gift. Christmas decorations are an investment for a lifetime and the good thing about them is, you only buy them once, as you get them out every year after that. I spend most of my money last year on Christmas ornaments from some of the most luxurious shops: India Jane, Fortnum & Masons or John Lewis had massive reductions on their Christmas range literally the moment it hit midnight on the 26th December, e.g. India Jane’s Victorian Santa Claus retailed at £10, after Christmas I got them for £3.50. The Fortnum & Masons Christmas shop at Somerset House reduced their star ornaments from £15 down to £3 so I took three of them home with me. This year, John Lewis is not really my shop to keep an eye on, but in the past, they tend to have some evergreen ornaments in their range e.g. a Victorian clock ornament. Also, I found Petersham Nurseries as well as Sass & Bell worth having a look after Christmas as they do lovely traditional decorations with lots of gold and wood. An evergreen has been the Uniqlo Black Friday range of slouchy winter jumpers. They are not included in the normal range and come annually out during the sales season. Uniqlo has released these cosy woolly jumpers for like £12 which are perfect for snuggling up at home or ice skating. There you go, these have been my go-to destinations in the past to snap up some bargains.